Congratulations on your nomination for the 2018 AusMumpreneur Awards! The AusMumpreneur awards are a nationally recognised awards that have been running for the past 9 years. Proudly presented by AusMumpreneur and The Women’s Business School, the Awards recognise the best and brightest in the Australian mumpreneur industry, acknowledging success in business, product development & innovation and customer service at a glamorous awards event held in Melbourne. 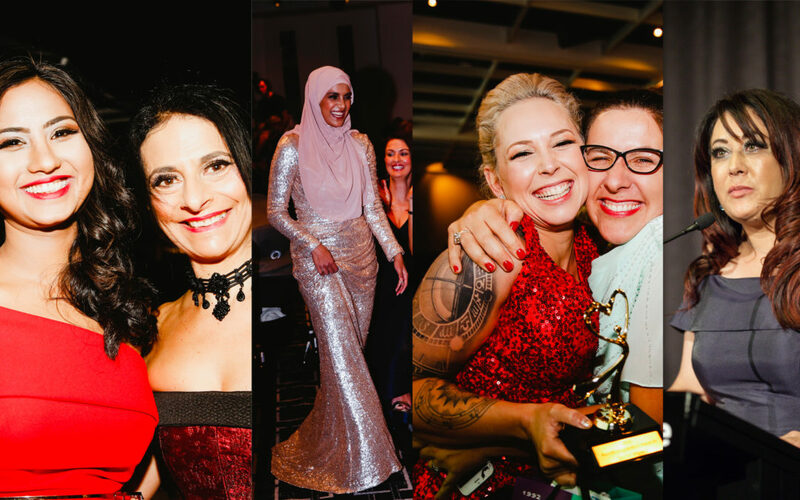 Previous AusMumpreneur of the Year winners and finalists have been featured in national media including 60 minutes, Sunrise, The Today Show, Today Tonight, Cosmopolitan, and the Herald Sun and The Australian since winning this award. The AusMumpreneur Conference and AusMumpreneur Awards are all about supporting Australian mums in business. This event provides a unique opportunity for women from all over Australia to come together to gain new skills, promote their business, connect with fellow mums in business, learn from leading business experts and celebrate the success of the best and brightest in the industry. So is 2018 your year to shine? Pay the $75.00 nomination Fee – The awards nomination fee covers our admin costs, includes a press release template (valued at $299) and $25 from from every awards entry goes towards supporting the AusMumpreneur Scholarship program enabling deserving mums in business to attend the AusMumpreneur Conference who would otherwise not have been able to afford to. The awards entry fee covers our admin costs, includes a press release template (valued at $299) and $25 from from every awards entry goes towards supporting the AusMumpreneur Scholarship program enabling deserving mums in business to attend the AusMumpreneur Conference and The Women’s Business School programs who would otherwise not have been able to afford to. This award recognises businesses that have achieved outstanding results in all aspects of business, including creativity, innovation and resilience. This award recognises retail businesses that have achieved outstanding results in all aspects of business, including creativity, innovation and resilience. This award recognises service based businesses that have achieved outstanding results in all aspects of business, including creativity, innovation and resilience. This award recognises handmade businesses that have achieved outstanding results in all aspects of business, including creativity, innovation and resilience. The awards entry fee covers our admin costs, includes a press release template (valued at $299) and $25 from from every awards entry goes towards supporting the AusMumpreneur Scholarship program enabling deserving mums in business to attend the AusMumpreneur Conference who would otherwise not have been able to afford to. Winners from each category will receive their Award at a gala event in Melbourne. Judged category finalists are required to attend the awards presentations in Melbourne. Tickets are $595 per person and include access to the 2 day conference, VIP cocktail party as well as the awards gala dinner. All finalists in both People’s Choice & Judged categories will be acknowledged at the Awards night gala dinner. Agreeing to the terms and conditions and giving permission for your quotes, images, video, audio and any other material associated with the AusMumpreneur Awards and/or your submission, to be used by AusMumpreneur is a condition of entry. Completing your submission indicates your agreement to abide by these terms. Entrants must be from Australia and own their own businesses or blogs with ABN. To enter your application there is an admin fee of $75 to help cover the costs of processing applications. $25 from every awards application goes towards supporting the AusMumpreneur Scholarship program. All nominees also receive a press release template valued at $299 to send to your local media as part of your nomination pack. Nominees must display the AusMumpreneur Award Nominee Banner on their website or blog with a link back to www.ausmumpreneur.com Winners in all categories must display the AusMumpreneur Awards Winner button on their homepage for 12 months. Nominees are encouraged to gain media exposure for their business and all nominees receive a press release template to send to your local media as part of your nomination pack. Winners will be announced at the AusMumpreneur Awards dinner held in Melbourne. Finalists of the judged categories must attend the live judging and awards presentation in person to be eligible. All finalists present will be acknowledged at the awards gala dinner. We have a zero tolerance policy on bullying. Bullying, harassment or intimidation of other contestants will not be tolerated. This includes attempting to contact the awards coordinators with negative information about nominees or encouraging third party individuals to cause trouble for fellow nominees. Nominees behaving unethically or unprofessionally may be disqualified at the coordinators discretion and will not be refunded. No correspondence will be entered into. These awards are competitive and not everyone can be a finalist or a winner, while this may be disappointing for some, all entrants are expected to act professionally at all times. Individuals who fail to act professionally may be asked to retract their nomination from the awards and will not be refunded. 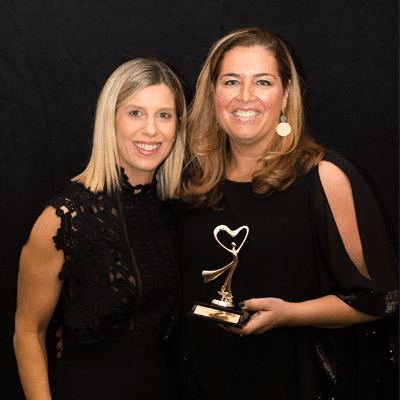 These awards are provided by the AusMumpreneur Network to support, encourage and celebrate the efforts of mums in business and all entrants are asked to be respectful of the AusMumpreneur Network staff, volunteers and our awards partners’ brands. Individuals who fail to abide by these guidelines at the awards coordinators’ discretion, may be eliminated from the awards and not refunded. Due to the large volume of emails we receive we regret to inform that we are unable to answer all individual email questions regarding the awards, please refer to the FAQ before emailing us. Accepting these terms and conditions is a condition of entry. People’s Choice finalists do not have interviews and will be selected by public vote. There are two rounds of voting. The top ten people in each category go through to the final round of voting. People’s choice voting will be held onsite at AusMumpreneur.com People’s Choice winners will be selected by number of votes at close of voting. No correspondence will be entered into. There is to be only ONE vote per person – voters MAY NOT vote under false names/email addresses/accounts OR vote for other people/email addresses/accounts. Nominees are allowed to run promotions, however we do ask that discounts, special offers, prizes etc are drawn randomly as a general thank you for support from ALL fans/customers/supporters rather than just those who have voted. 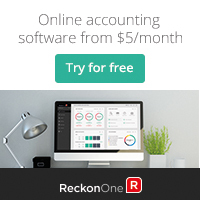 AusMumpreneur accepts no responsibility for the running of these competitions or promotions in any way. Nominees are encouraged to use social media, newsletters, their website, local PR etc to gain votes but NOT third party ‘click-farm’ sites or bought votes. Finalists in the judged categories will be contacted by email with confirmation that they have qualified as finalists and in which category by 3 Aug.
Judging is based on your entry submission and judges will allocate finalists to relevant categories. The panel decision is final and no correspondence will be entered into. Finalists in the judged categories will be interviewed via live interview by a panel of judges in Melbourne on Thur 30 Aug. Yes. Nominees are eligible to enter 2 categories: 1 from judged category (choose your top 3 preferences) and 1 from people’s choice category. How do I know which category I’m in? All nominees will be notified of whether they have made it through as a successful finalist or not on 3 Aug and will be notified of which category they have been allocated to based on the judges decision in the email. Do I have to be a member of The AusMumpreneur Network to be nominated? Can I nominate my own business or does someone else have to nominate me? Yes you can nominate yourself. As the awards have grown each year we need to employ extra staff for the awards period. 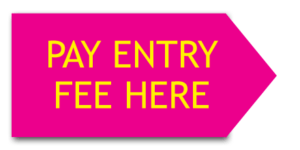 Some business awards cost over $600 to enter, so we thought that $75 was a pretty affordable entry fee. We knew some business owners would feel they couldn’t afford it, but we realised that perhaps those people would be better off applying next year or when their business was ready to pay the entry fee. The entry fee also includes a press release template valued at $299. It’s free to nominate but to enter your application there is an admin fee of $75 to help cover the costs of processing applications. This fee also gives you a press release template for you to send to your local media. $25 from every awards entry goes towards supporting the AusMumpreneur Scholarship program. The AusMumpreneur Scholarship program enables deserving mums in business to attend the AusMumpreneur Conference who would otherwise not have been able to afford to. Do I have to display the awards banner on my website? Yes. Displaying the banner and linking to www.Ausmumpreneur.com is a condition of entry. When is the awards and conference and where is it being held? The Awards and conference is being held in Melbourne at White Night Receptions, 42 Hampstead Rd, Maidstone VIC 3012 on 30 & 31 Aug.
Tickets are $595 per person and includes VIP Cocktail party, 2 day AusMumpreneur Conference and Awards gala dinner. Do I have to go to the awards? Everyone is welcome to come along! Judging is being held in Melbourne and all finalists in the judged categories are required to attend both the judging day and the awards gala dinner. AusMumpreneur of the Year finalists are also required to be available in case of any media opportunities the following morning. Yes friends and family are welcome to join you on the night, partner tickets and tables of ten will be available for purchase. Should I contact my local media? Yes. All nominees are encouraged to contact their local media and we will provide you with a media release template. Please let us know if someone runs your story. Finalists and winners must also be available for any media inquiries and interviews in the lead-up and following the AusMumpreneur Awards. If my friends are too busy to vote, can I vote for them? No. Only one vote per person is allowed, voting for anyone else or voting more than once is cheating and may result in your profile being paused or disqualification. In the judged categories finalists are selected by a panel of judges based on responses to questions, the judges allocate successful candidates to categories and nominees are notified of the outcome by 3 Aug. The top 10 finalists in each category are then interviewed on Thur 30 August and winners and place getters in each category are determined by a panel of 3 independent judges and announced at the gala dinner on Friday 31 August. People’s Choice finalists are determined by the first round of public voting. Votes then continue for the final round of voting. Do people’s choice finalists have interviews? No. People’s choice finalists are selected from the ten people with the most number of votes in each category at the end of the first round of voting. Voting then continues for the top ten finalists in the final round of voting. People’s Choice winners are the person in each category with the most votes at the end of voting. During people’s choice voting is it ok to run promotions?